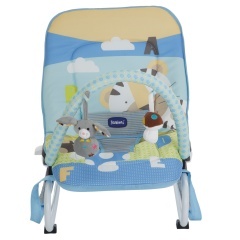 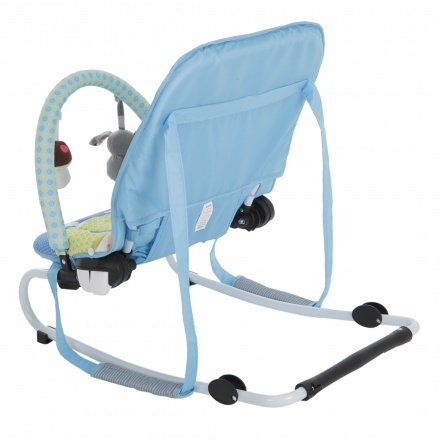 Juniors Pebble Baby Rocker | Blue | It features a 3-point fully adjustable waist harness and backrest. 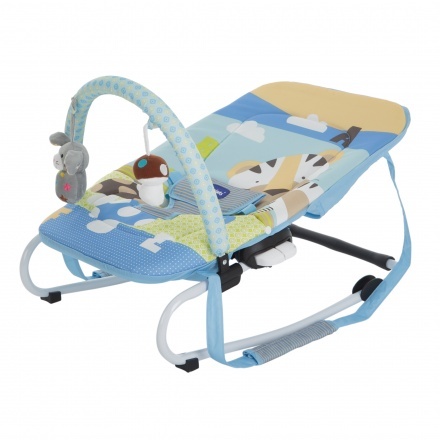 Pick this baby rocker that will keep your kid cheerful and comfortable. The seat is designed for your soft and delicate little one to sit for hours. 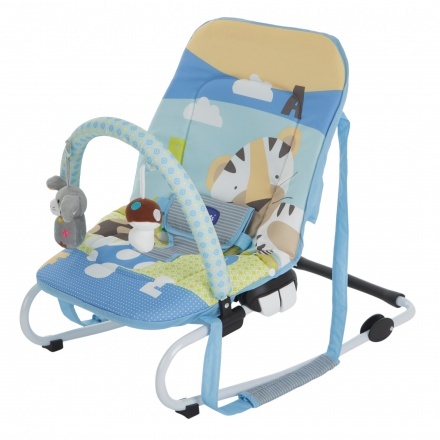 Sporting stripes, this rocker also has an alluring print that is appealing.